This is our entry table. Eventually I will get around to painting it. I want it to be white with a stained top, instead of the burgundy that it currently is. But you can't argue with the price: $8.00 at DI last summer. The flowers were something I put together using silk flowers and a vase from Jo-Ann. The little cherub was also something I found at Jo-Ann. Very appropriate for Valentine's, don't you think? We painted the kitchen just before Thanksgiving break. 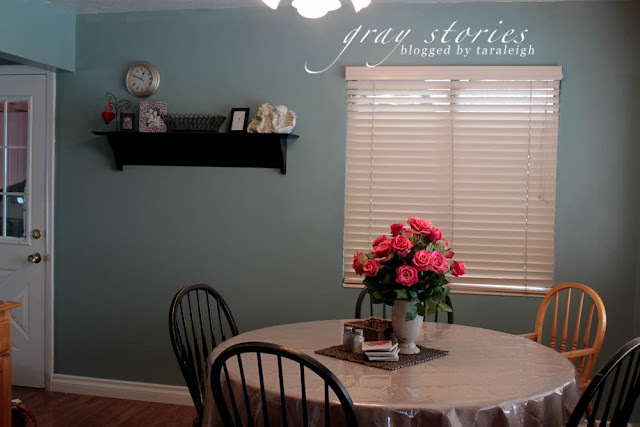 I love the color, its like a grayish-aqua blue (can't think of the actually paint name...) by Behr. The shelf was Roberts Craft when they were still around. 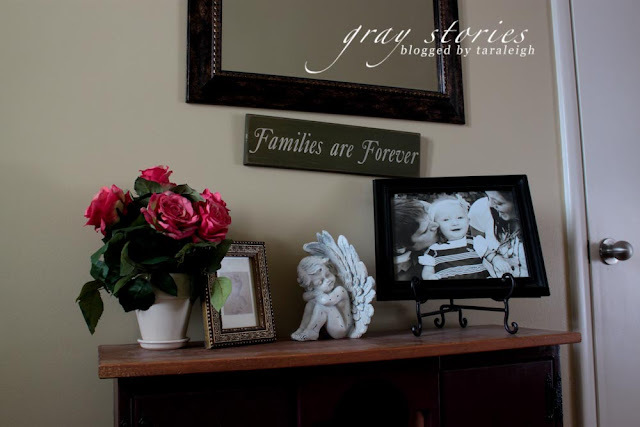 The flowers are the same ones as what is in our entry way, but this arrangement is much taller. I love how real and full it turned out. I couldn't have made either arrangement without my mom's help. She's great. I am wanting to put up a few pictures on the wall parallel to the clock, but I haven't gotten that far. This shelf, as you can see, is still a work in progress. (I also still need to put a photo in that frame. I will get to it. Soon.) These twin cherubs were something I found at Ross for a ridiculously good price. The ornament hanger on the left is from DI, and the heart that is hanging is from Rod Works. I had been wanting something like this for a while and was so glad when I came across it while thrifting one day. The metal heart frame was a gift from a co-worker back when I worked at the police department. Two years ago my mom and I got together and made this little framed heart thing using the paper from an old book and some patterned scrapbook paper. Its a fun little Valentine decor item. If you've been to my house, you've most likely seen my deacon's bench that my MIL made for Jordan and I for Christmas years ago. 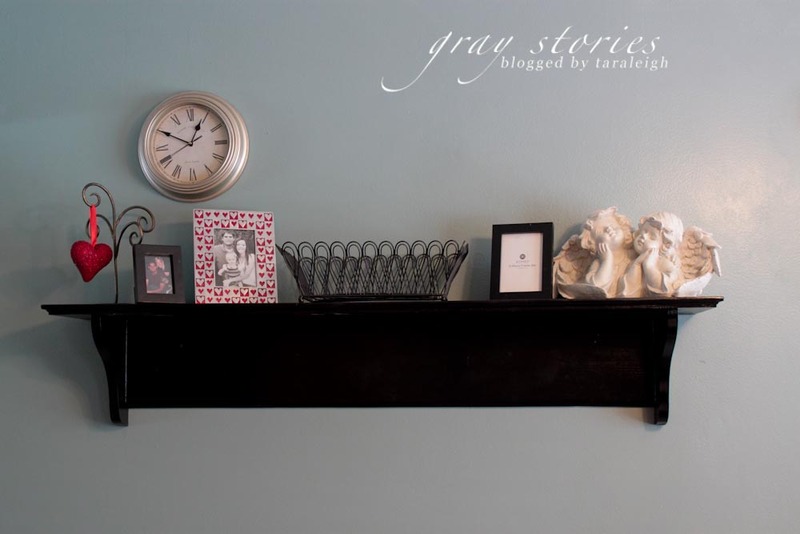 Its made from an old door and it's a great place to display home decor items. I have it in the corner of our living room right now. There is a nail on it that I like to display wreathes. With it being valentines, how appropriate that I have a red "lovey" wreath. 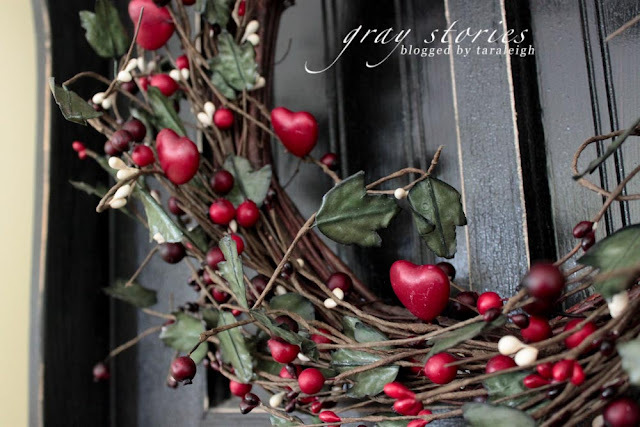 Its a circular wreath with little berries and hearts all around it. I found this one at Tai Pan a few years ago. 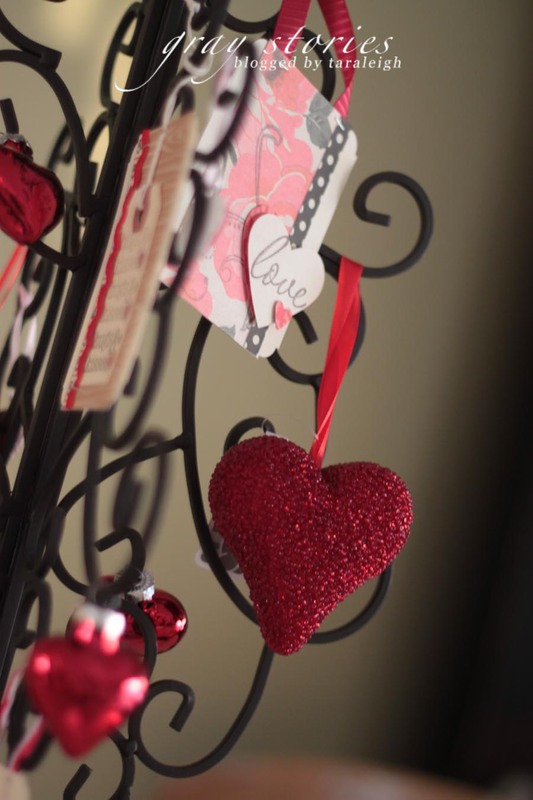 The last of our Valentine's decor is our little rod-iron tree that lives on the circular table in the living room. My mom gave me this tree and I've been using it to hold holiday-themed paper creations. It held our 13 nights of Halloween tags, and thankful tags in November. For this holiday I was able to incorporate a few more ornaments, including a few more of these beaded hearts from Rod Works. The blown glass hearts were from Jo-Ann, and I hand stamped the tags on the tree. 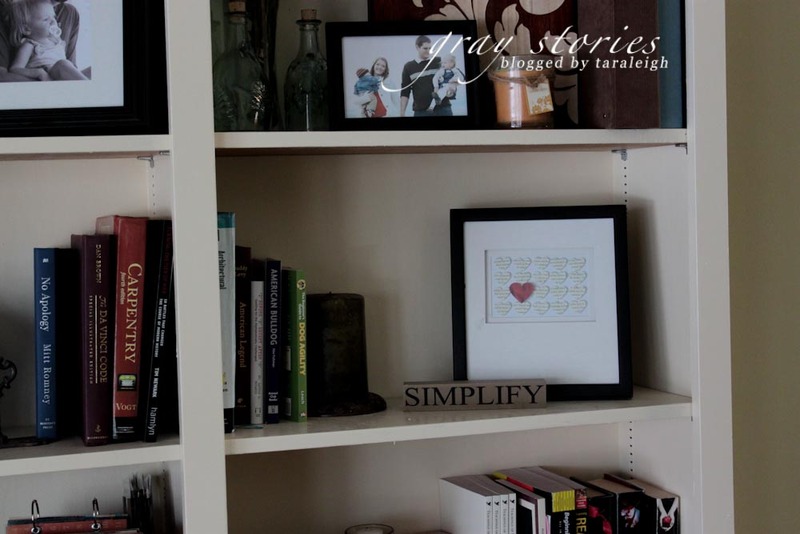 So there you have it: a tour of our lovely, valentiney home. Hah. I'm too funny.